This feature is currently available only for MongoDB. 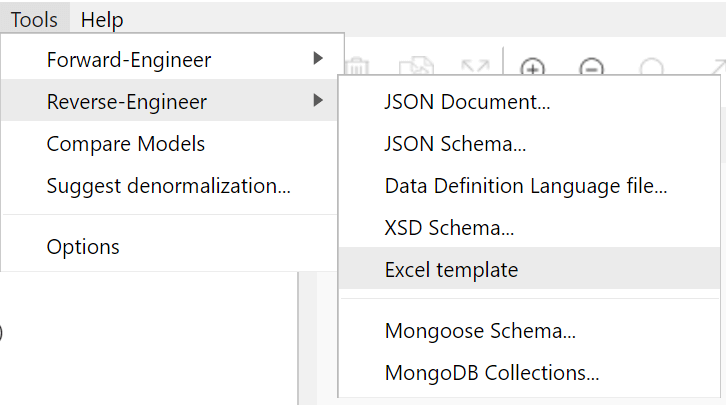 To facilitate the addition of fields to a MongoDB data model, an Excel model import template is provided in the install directory of Hackolade. It includes some basic guidelines, column comments, and examples. - Do not change the titles or order of the columns! - Referential integrity is not enforced by this template. You need to ensure the coherence of the references from one tab to the other!